Keep the kids cool this summer! Despite the newly placed cardboard ghost and witch cutouts and truckloads of candy corn and mini-Snickers bars, it really isn’t fall or Halloween time yet. When the mercury hits a record high – and your child whines, “But, Mommmmmmyyyy I’m so bored!” get artsy and start cooling down with a craft or two. If you’re wondering what art and chilling out have to do with one another, I’ve spent the majority of the summer making crafty activities out of ice. 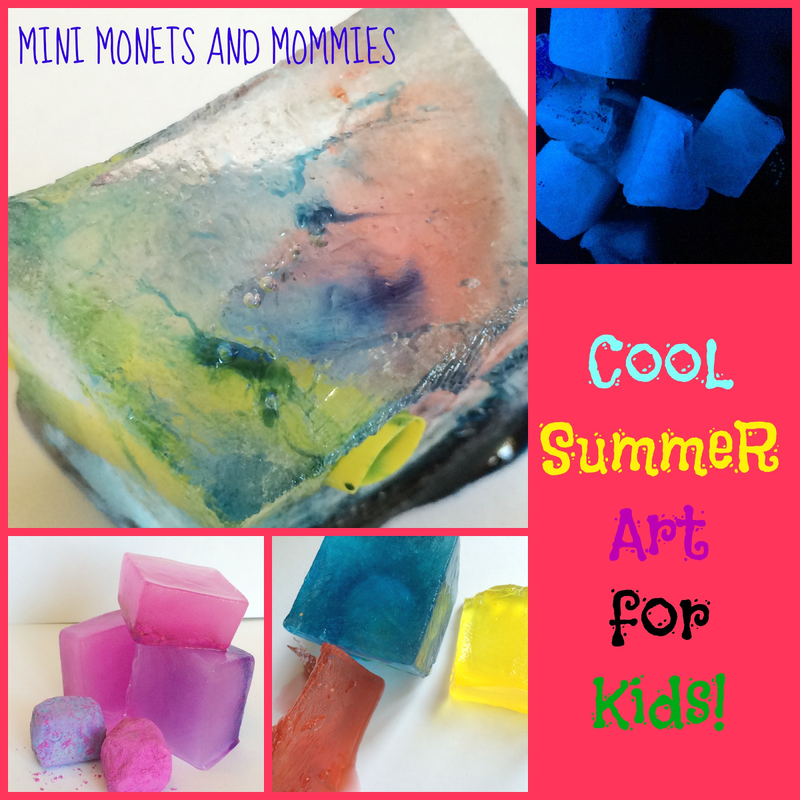 From fun foods that sparkle to icy art that really, truly glows, your child can get chilly, cool off and make some amazing art. Click on the photos to see the full activity how-to's! This is a favorite in my house. 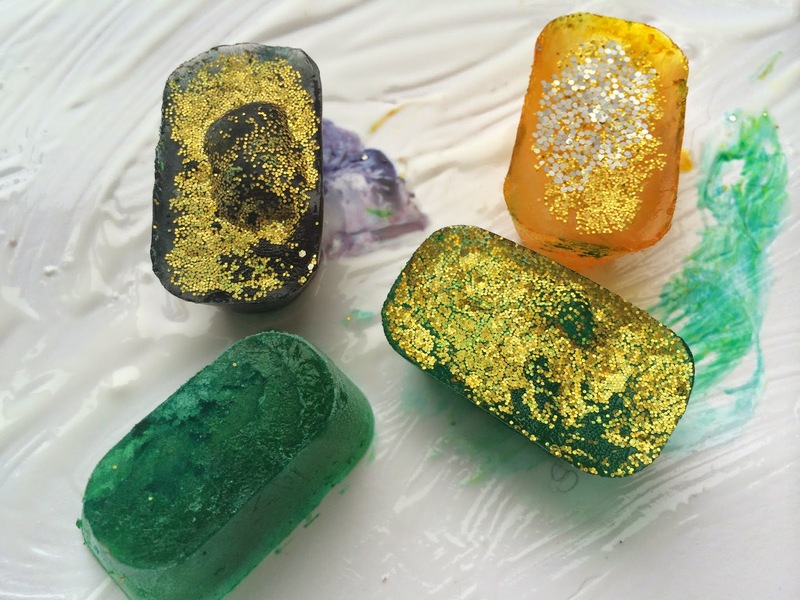 Sure, your child has “painted with ice colors” a zillion times before, but did she ever make color-infused cubes? The ice-making process does take some time, but the result is outstandingly awesome. 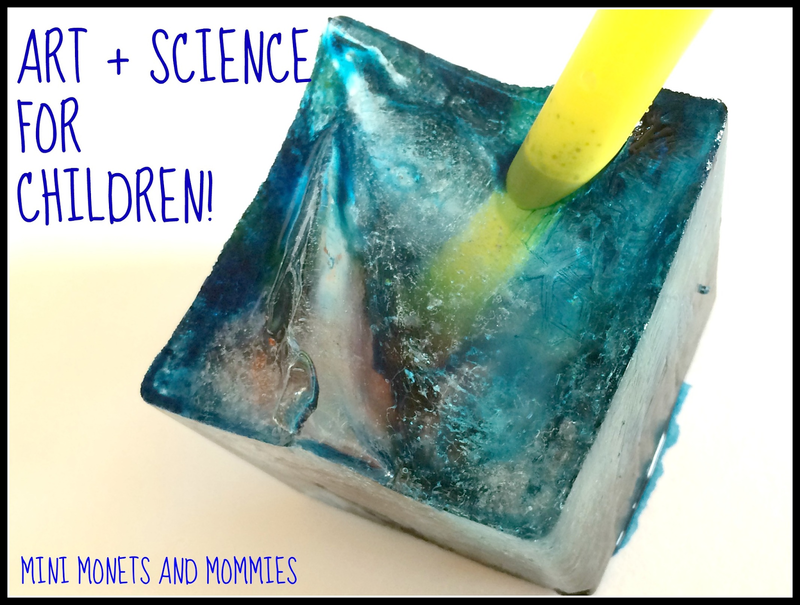 Your child can mix art and science, using a straw to break through the cubes as the turn from liquid to solid, adding layers of colors. Yellow and blue makes green! Even though mixing paint on its own teaches your child about the primaries and secondaries, doing so with ice cubes ups the fun factor. 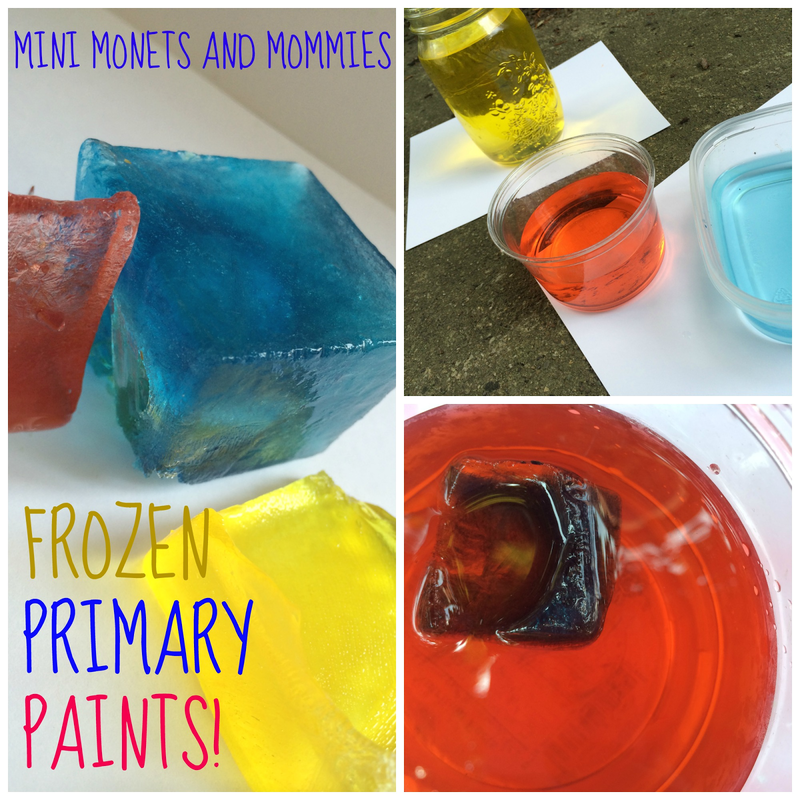 Freeze red, yellow and blue cubes, fill a few containers with primary colors of water and get splashing. Throw down a piece of paper under the ice water to make a Jackson Pollock paint project. It’s all about the tonic water. Somehow I made it through decades without knowing the science behind tonic. Under a black light it glows. Make some tonic cubes, get a groovy black light and shine away. Glitter makes almost everything more fun. Sprinkle some in some water, add a drop of food coloring and freeze it. When the cubs are solid, your child can paint with them. Worried about the glitter drying and going everywhere? Paint on glue first to catch the sparkly stuff. What happens when you smash up chalk, add water and freeze it? 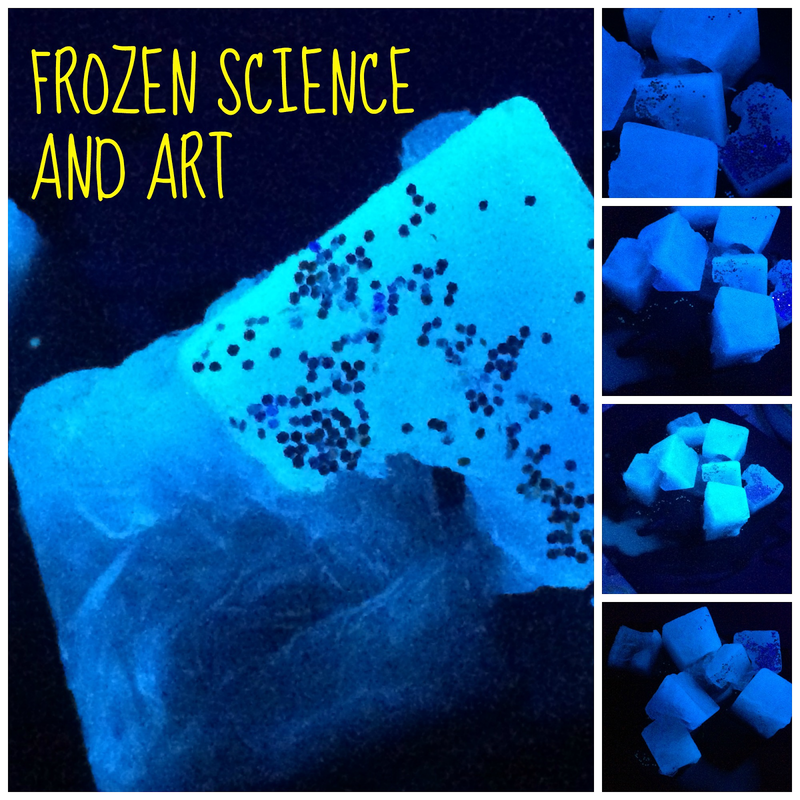 Read about this art and science activity to find out! Cool off on a hot day with these tasty treats! 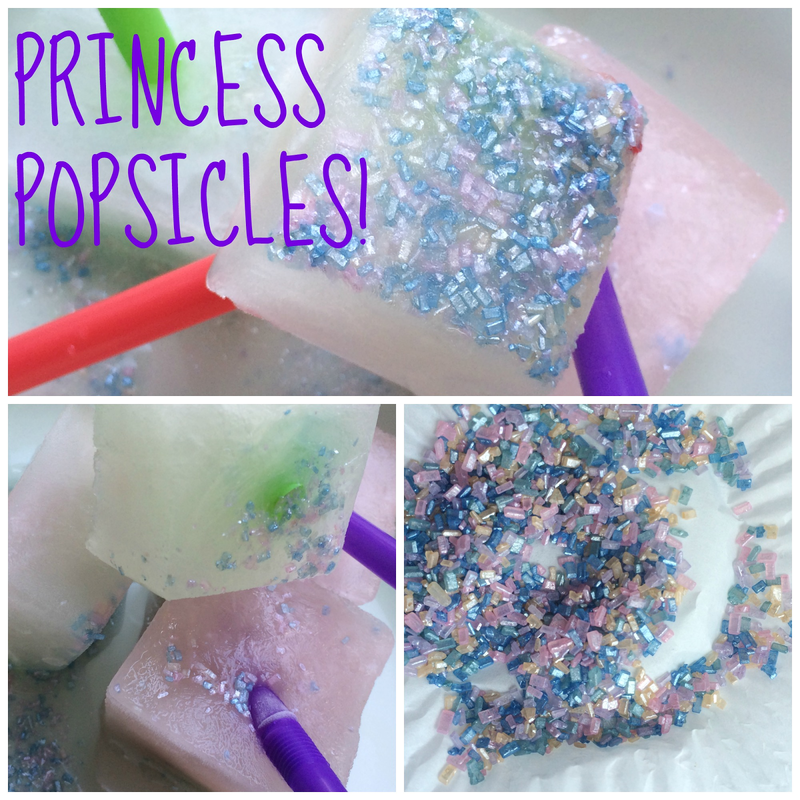 Your little princess can add the edible equivalent of glitter to juice and make these pretty popsicles. If you don’t have a princess on your hands, pirate pops are an easy alternative. Arrrr matey! 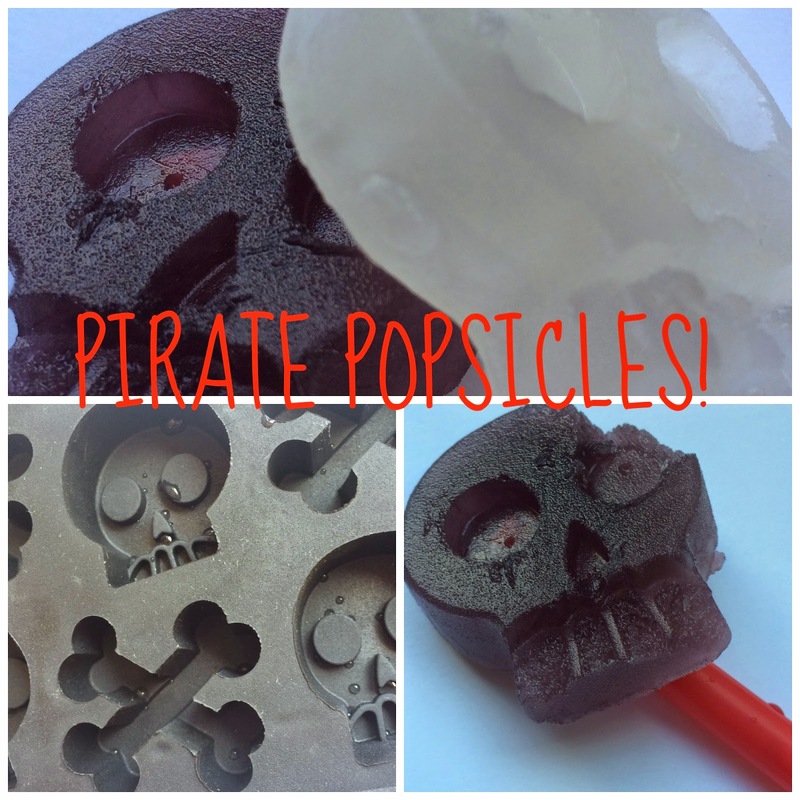 These skull and cross bone popsicles have a buried treasure inside. Are you looking for more summer activities? Follow my Pinterest board for ideas galore! I might have to try a few! Such great projects to try for kids these days!! These are all really great! 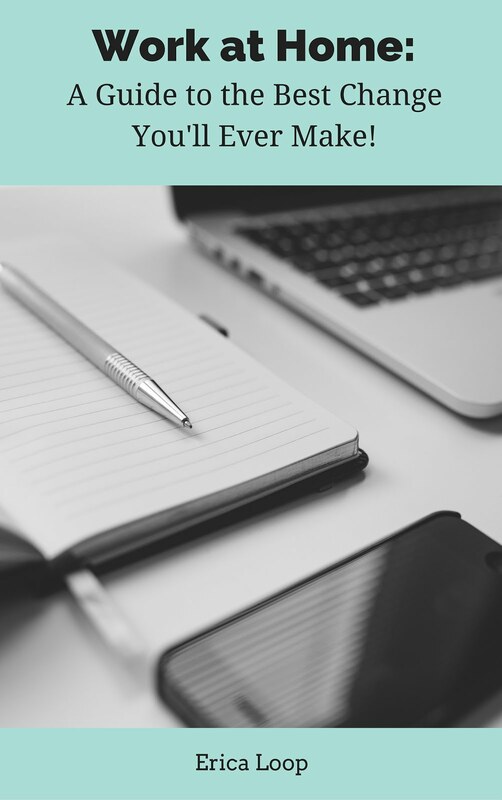 Thanks for sharing at the Love to Learn Linky party. 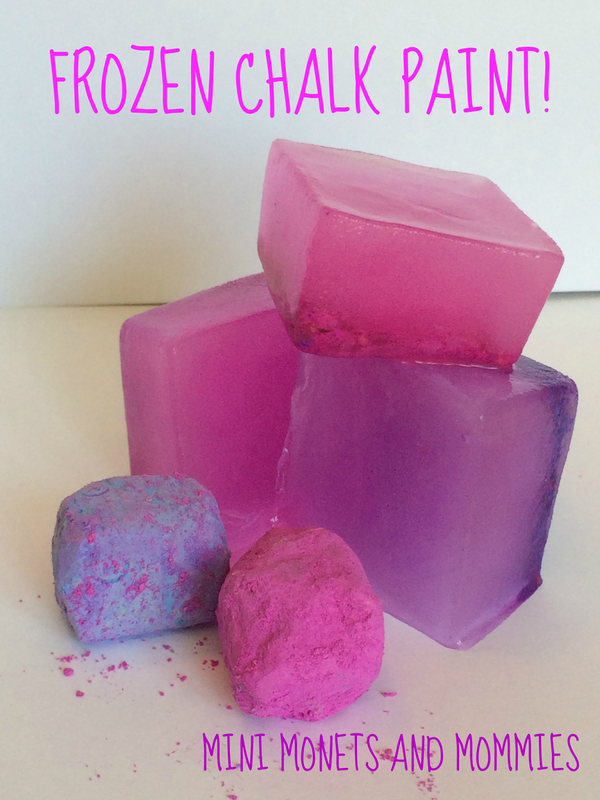 I can't wait to try the frozen chalk paint, my son will love smashing them.